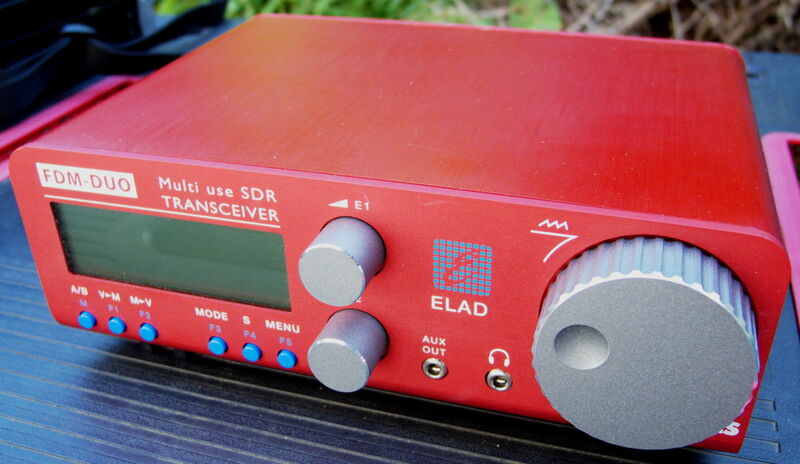 Having found ELAD’s tiny FDM-S2 software-defined radio (SDR) receiver such a delight, a few weeks ago I bought an ELAD FDM-DUO, its corresponding HF transceiver. the Yaesu FT-817, the most famous portable rig of them all, but virtually unchanged since its introduction in 2001. Before giving my first impressions of the ELAD, it is worth reviewing briefly that competition. Elecraft’s K2 is supplied in kit form, but mine was purchased from a ham who enjoyed building them, and has an old serial number, 02275. Not easy to drive, K2 rigs are an acquired taste, but in experienced hands still outperform many much more modern, sophisticated, and expensive systems. Its human interface is a bit of an ergonomic nightmare, though, with each button multi-functional, and bearing abbreviations which make Unix command names look verbose. Its RF Gain control is one secret weapon which makes this a reference receiver when making comparisons, as it seems able to pull the weakest signals out of the ether. When I was doing a lot of portable QRP (low-power) operating, it was my preferred rig, but is the complete opposite of the ELAD, being as analogue as it comes. Elecraft still offers the K2, now with optional digital signal processing (DSP), but it must be built from a kit. Another comparison – which I am unable to make as I do not have one – might be against the newer KX3, which is eminently portable. However, by the time that you have had a KX3 built and matched with its PX3 Panadapter to provide a waterfall display, you will have paid more than £1500, and quite possibly twice the price of the DUO. The Icom IC-706MKIIG was hugely popular fitted to vehicles, when properly plumbed in so that it could draw up to the 20 A it needed to transmit at its full 100 W power. It is heavy too, making it a very unlikely choice for human-portable operation, when it would also need quite a capacious lead-acid battery. Although very versatile, its receiver was not noted for sensitivity, and it was easy to get lost among its menus and controls, in my limited experience of its use. I did not try to compare its receiver or transmitter for the purposes of this article. This model has been discontinued. SGC’s SG-2020 was intended to be a robust portable rig, and has the spartan appearance of a military design. Another receiver which is not noted for its sensitivity, it has quite innovative DSP which partially compensated for that. I have mainly used this when operating from the salt-laden surroundings of beaches, from which I like to shelter the K2. It works well, although manufacture was discontinued a decade ago. The Yaesu FT-817, and its almost identical successor the FT-817ND, are justifiably popular among those who carry their radios around with them. It is tiny in comparison with all but the most dedicated QRP (low-power) portable rigs, but performs surprisingly well. Its receiver is inferior to the K2, but rather better than the IC-706 or SG-2020. Because of its size, every button is multi-functional, and many users find it hard navigating its long menus. Because I tend only to work SSB (voice, using single sideband), I rarely have to change settings which are controlled by its menus. This has been my mainstay portable since I got it. Remarkably the current FT-817ND sells for £440, but in features is only comparable with the DUO operating in standalone mode: there is no option for a waterfall display, etc. In contrast to the FDM-S2 receiver, the DUO is designed to be very versatile in use, and can be operated standalone, or connected to a PC. Its maximum transmitter power output is 5 W, making it a classic QRP (low-power) rig, or driving a linear amplifier for operating at higher power. Its receiver is similar in design to that of the FDM-S2, directly converting received signals from the antenna into digital form at a sampling frequency of 122.88 MHz, ample to give full cover to all the amateur HF bands and 6 metres (50 MHz). However the processed output is also passed for conversion to audio output, to a built-in speaker. The transmitter uses direct digital synthesis (DDS) at 368.64 MHz, using converted audio input or digital input delivered through its USB port. It is thus in every respect a ‘proper’ SDR which uses a minimum of analogue circuitry. Even the human interface for standalone mode uses processors. Front panel of the ELAD FDM-DUO, in its scarlet limited edition. My DUO is one of a limited batch produced for Martin Lynch and Sons (ML&S) in a custom scarlet anodised finish, and looks absolutely gorgeous. The quality of design in its interface and appearance are comparable to the best Apple products: it is minimalist and clean, but ingeniously functional. The three rotary controls including the tuner incorporate push switches, and ELAD have put a lot of care into getting every detail right. This is an easy rig to drive, in spite of its rich functions. I will cite two specific examples. The tuning step is set by pushing the tuner control in and rotating the control to select the step, from 1 Hz to 1 MHz. Once happy, you press the control in again to return it to controlling the tuning. After a little practice tuning becomes an amazingly efficient operation. Setting split mode (in which transmit and receive frequencies are different) is also beautifully simple. Assuming you are using VFO A already, you set that frequency for receiving, press the leftmost button to switch to VFO B, and set that for transmitting. You then press either the F4 or F5 button for a settings menu, where you select Split Mode, and press and hold F4 or F5 to apply that setting. Alternatively you can configure the F4 or F5 button to put you straight into Split Mode when given a ‘press and hold’, if you wish. Rear panel of the ELAD FDM-DUO. The back of the DUO illustrates its flexibility well. It supports separate transmit and receive antennas, and has a separate RF output suitable for transverters. Separate USB ports support receive and transmit features, the latter carrying digital signals which bypass its audio A to D conversion. There is a USB port for computer control (CAT), and a DB9 for custom input and output. The only tiny weakness in its otherwise impeccable design is the ground connection, which I think is a little too close to the antenna connectors for quick use when portable, but I am getting used to it. The radio is relatively compact, although larger than an FT-817, light (1.2 kg, but feels less than that), and appears robust. It asks for 13.8 V + 10% DC input, but on receive at least appears to function normally with as little as 12 V. When portable I have operated it either from a 12 V lead-acid battery with my 13.8 V conditioner, or from a powergorilla at 16 V nominal output, which drops to around 15 V at the radio. It draws up to 2.2 A when transmitting at full power, and less than 500 mA on receive, which is comparable to the FT-817 (Rx 450 mA, Tx 2 A), so the processors and digital circuitry are no less efficient in terms of power than a very mature low-power analogue design. 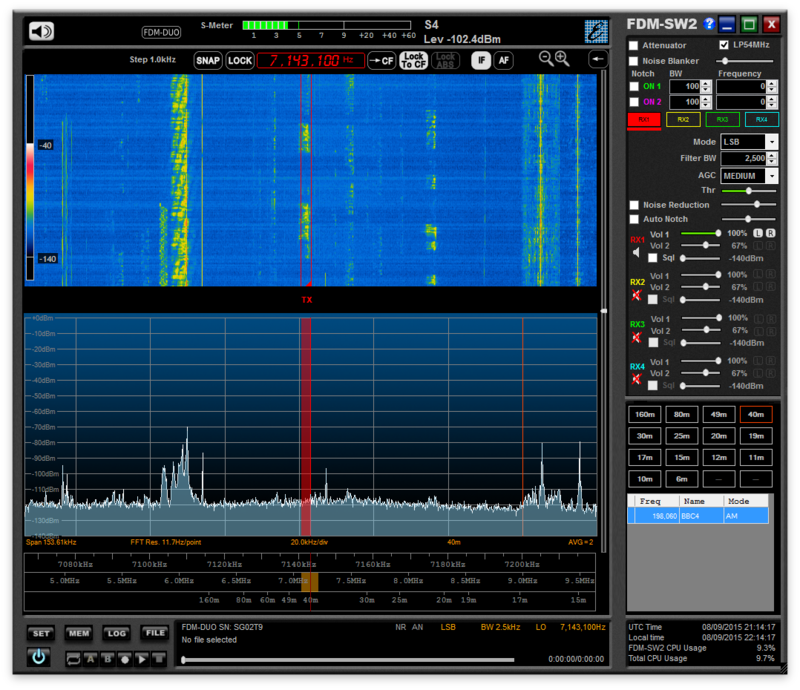 Hooked up to a PC, or in my case an iMac running Parallels Desktop and Windows 8.1, the ELAD is transformed into a supremely sophisticated radio system, with the same app that controls ELAD’s FDM-S2 receiver. Its waterfall display gives you an unrivalled overview of activity in your chosen bandwidth, here a span of just over 150 kHz. You can tune using the radio’s control, in the waterfall display itself by direct manipulation, or using ELAD’s unique triple frequency sliders, or any of the other methods which I described in my review of the S2 here. Switching band – something that the standalone radio is not quite as slick at – is just a matter of clicking on a preset. You can also use the FDM-SW2 software to record direct from the radio, a feature which has occasionally caused the app to crash. There is also very little, if anything, which the S2 can do under software control, which the receiver of the DUO cannot, even decoding DRM broadcasts. Without taking my DUO to a lab, I can only point you at ELAD’s performance claims in the documentation. My experience with the DUO is that it comes closest of any of the these radios to the receiver performance of the K2, and is in general indistiguishable from the FDM-S2. I fancy that it copes rather better than the K2 with adjacent big signals and rowdy pile-ups, but that is subjective and could just be my imagination. Its transmitter appears to produce a clean, well-modulated signal which gets the best out of its 5 W output. With its direct digital synthesis, I would expect its signal to be as clean as the best which can be produced from conventional RF design. 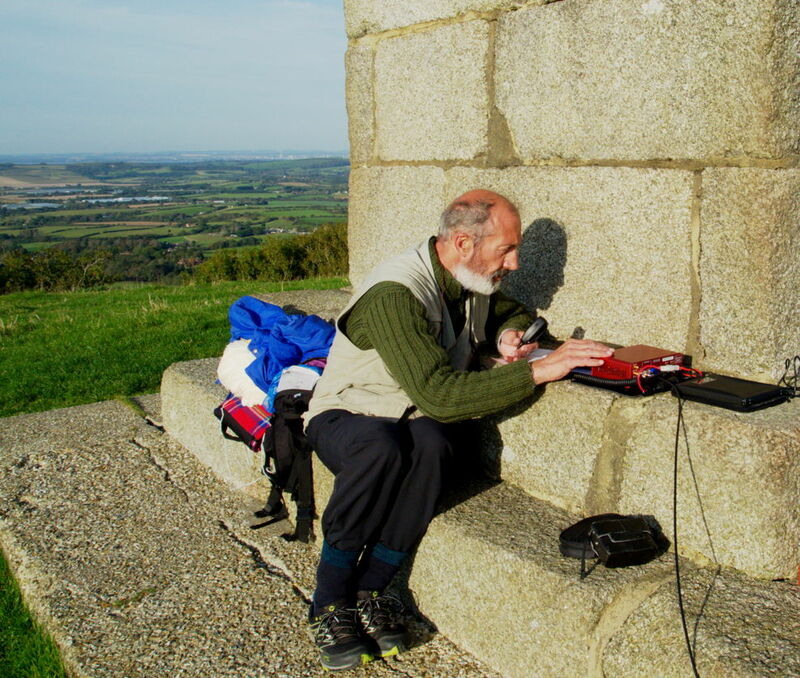 I wish I could reel off a long list of spectacular DX (long-distance contacts) made whilst operating the DUO as a portable, but all the best had huge pile-ups dominated by stations running a kilowatt or more to large beams, hardly a level playing field for my 5 W to a meagre Super Antennas vertical whip. However I was impressed when, within a few minutes, I heard New Zealand at up to S7 (a strong signal), and the East Coast of the USA booming in at S9+10 (very strong), on 20 metres (14 MHz amateur band). The only remaining minor niggle that I have with the DUO is its two plastic feet, which you can use when operating on a planar surface to raise its front. These are slightly tacky and ‘cheap’ compared to the rest of its design, and one of mine has already shed itself somewhere in transit. However for portable operation they are of limited use, and I have removed the remaining foot to stop it limping along without the other. The DUO is an understated and clean radio, which professes to be a ‘multi-use SDR transceiver’. It comes as close to perfection in design and use as any radio that I have seen, for portable, mobile, and base station use. Whether operated standalone, with a linear amplifier or transverter, or with a PC as a powerful SDR system, it is a wonderful transceiver. ELAD’s internal and external design have made the DUO a classic radio which is among the performance leaders, all for a mere £899/€1159/$1149. 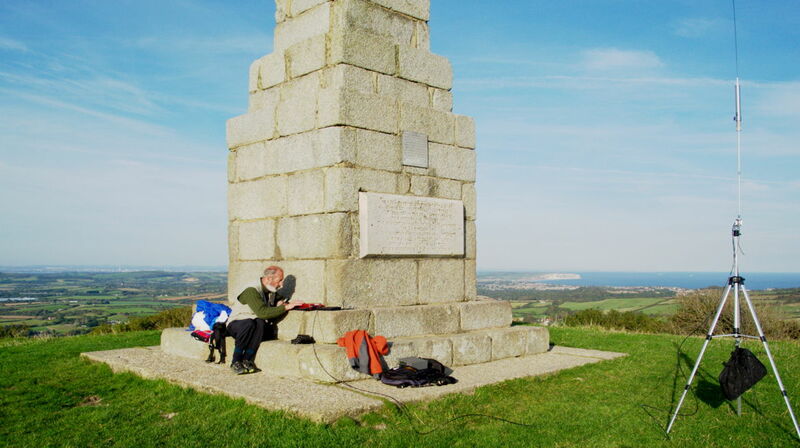 I am now unsure whether to take my much-loved K2, or my DUO, up onto the hills in search of DX. In the UK, the ELAD range is available from Martin Lynch & Sons; in the rest of Europe, consult ELAD’s site for other vendors; in the USA, it can be bought direct from ELAD USA. 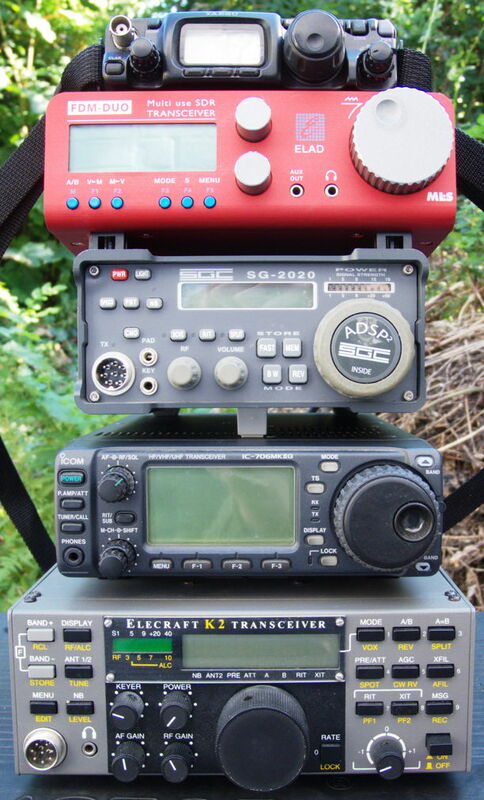 Posted in General, Macs, Technology and tagged ELAD, Elecraft K2, FDM-DUO, FDM-S2, FT-817, IC-706, OS X, Parallels, Portable, radio, SDR, SGC 2020, transceiver, Windows. Bookmark the permalink. Nice review. I have the plain vanilla version and just updated all the firmware, not had time until this weekend. Hoping to take mine to IOW festival if i get tickets! Thank you. I must get my gear out and prepare it for the warmer weather. I had intended to do some hill-top operating last winter, but it just rained so often. Appreciate your review which is the first I’ve found to show TX current draw. I have an FT-817, a K2, and a Flex 1500, but wanted a xcvr with separate RX that would give me 1 mw output on 630 meters which it does. Bought today with the collapse of the EU, so cost about $1000 dollars.. Thank you. I am delighted that someone has been able to benefit from the current financial turmoil, although perhaps it is a little early to suppose that the EU has collapsed. I hope!